Whenever you find out that your neck hurts and even before knowing your diagnosis if the pain is serious and you get numbness in your hand(s), please remember #1 – DON’T SEND YOUR CHIN UP, you are going to make everything worse. 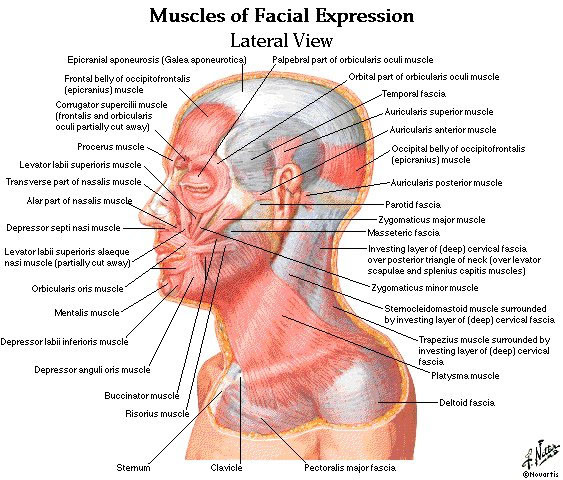 Just take a look at the anatomy of the neck. Do you see that in the front where the throat is the vertabraes are nice and smooth? The back of them has completely different structure, there is kind of spiky endings at the back of each vertebrae and in the neck they are quite long. So, by sending your chin up without elongation you just crush these spiky endings into each other. And we have tons of other stuff packed between them, such as nerves, blood vessels, muscles, so yeah, let’s crash them too. Instead, tuck your chin in slightly and slide the top of your head up to elongate the back your neck. Think about separating vertabraes from each other and from the disks between them. Give them all space that they need. Try to do it like this guy on the picture – go to the wall, slide the back of your head up the wall. Make sure to do it gently. And then repeat a few more times. And remember about it in any position – standing and seated, in a table top position, laying down on your back or on your stomach. When you are in a table top position make sure that your maximum is the neck parallel to the floor, when you are on your stomach make sure that instead of lifting your head up you have to reach forward from the top of your head keeping your neck elongated and when you are on your back make sure that you keep your chin tucked in slightly keeping the base of your scull close to the ground.